By Dylan Langlois in Coding. Updated on April 9, 2018 . The way we develop and code remotely has not changed much in the past few years. After all, the act of coding itself is something that requires attention and a certain sense of solitude to be able to do well. But what if you are stuck and want a more personal way of overcoming a certain coding issue? Koding is a cloud based app that aims to provide a comfortable environment for coders and developers. With it, development can become more social and overall, easier and faster. Let’s take a look at what it has to offer. We can easily sign up for Koding using Github, Twitter, Facebook, Google, or just via email. When Koding first launches, we are presented with a social interface similiar to Google Plus simply named “Activity”. Activity is your gateway to communicating with Koding community members. When you first look at it, you’ll see a list of Activity such as Status Updates, Code Snippets, or User Activity. Koding’s social coding environment, Teamwork, allows you to share your code, invite friends, and code together. With built in coding frameworks like Bootstrap, AngularJS, CodeIgniter, BackBone, and others; you really have no need to leave the Koding app. Inviting others to your session is easy, just copy and share the Teamwork ID with your fellow developer(s). Teamwork is great not only to work on a project together but your team could also help you out if you are having trouble with something. When developing with Koding, there’s a neat preview element which can be accessed easily in a dropdown menu while developing. Click the preview button and it will launch a live preview of whatever you’re developing. Copy the shown URL, paste it in the browser, and see it live on a web server. Koding has a built-in terminal, so you don’t need to install extensive software or environments on your operating system. 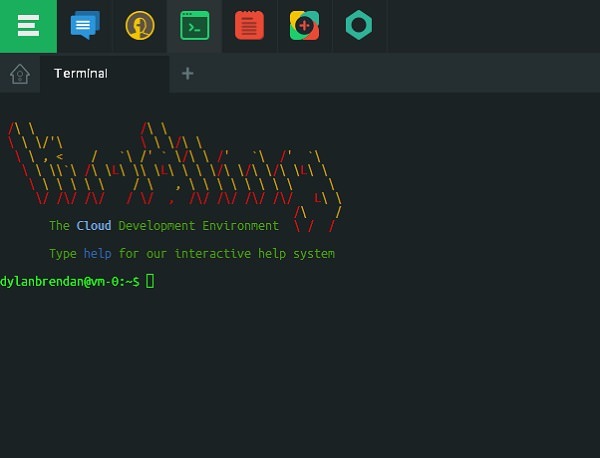 Within the terminal, you can host sessions with your fellow developers to interact with each other’s terminals in real-time; saving a lot of time and unnecessary hassle with video chats and remote desktop solutions. With Koding’s pre-installed apps, we can further add to the way we code with apps such as Brackets editor, phpMyAdmin,Wordpress, Drupal, Dropbox, Ruby on Rails, Django, Laravel and many more. Having these apps available at your disposal truly makes development faster and easier. 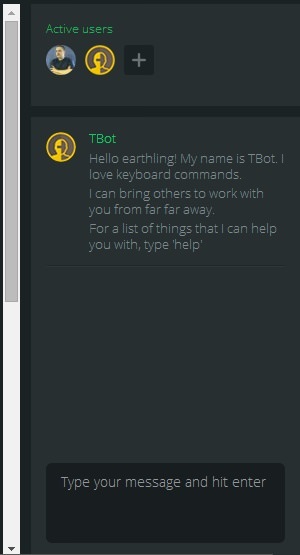 Koding’s Apps are definitely one of my most favorable Koding features. 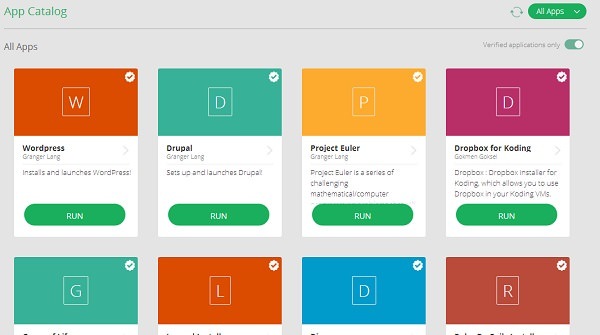 You can try out Koding for free but it comes with a limited set of resources. 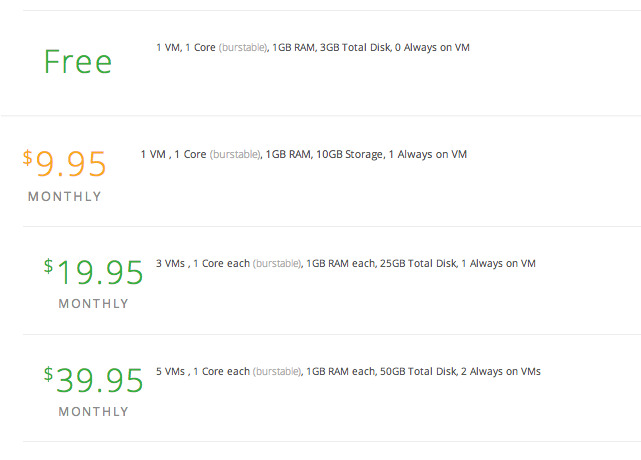 The rest of the prices are based on development resources like disk space, bandwidth, CPU, and the like. You can choose to pay on a monthly or a yearly basis, as shown below. Work on development projects without leaving your browser. Getting to socialize and work together with other developers. Downloading apps like WordPress, Brackets, phpMyAdmin, and many more. Getting help from fellow developers. Use Koding as a localhost. Sessions can become buggy or slow due to shared remote resources. No remote FTP Access. Only from the web app. No full GitHub API use. Koding is a great way to code and develop together. Rather than mess with remote desktop and chat software, Koding is a great alternative. With Koding’s apps and built in coding environments, development becomes faster and less of a hassle. Koding is now my prefered way to develop projects with others.